Acropolis 5.0 (AHV) is now supporting CPUs & Memory hot-add. The number of CPUs and the amount of memory could be increased while the VMs are powered on. However, changing the number of cores per socket while the VMs are powered on is not supported. The change of the memory and CPU configuration could be done through the Acropolis CLI (aCLI) only. 1. Log on to Controller VM with SSH. 2. Update the number of CPUs on the VM. Replace ‘vm’ with the name of the VM and ‘n’ with the number of CPUs. 3. Update the memory allocation for the VM. Replace ‘vm’ with the name of the VM and ‘new_memory_size’ with the memory size in GB. Note: Device Manager on some versions of Windows such as Windows Server 2012 R2 / 2016 displays the hot-plugged CPUs as new hardware, but the hot-plugged CPUs are not displayed under Task Manager. 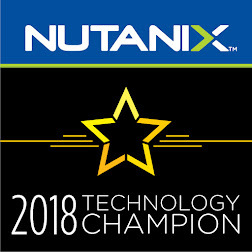 Ask Me Anything About Nutanix! Type "Hi" to start!